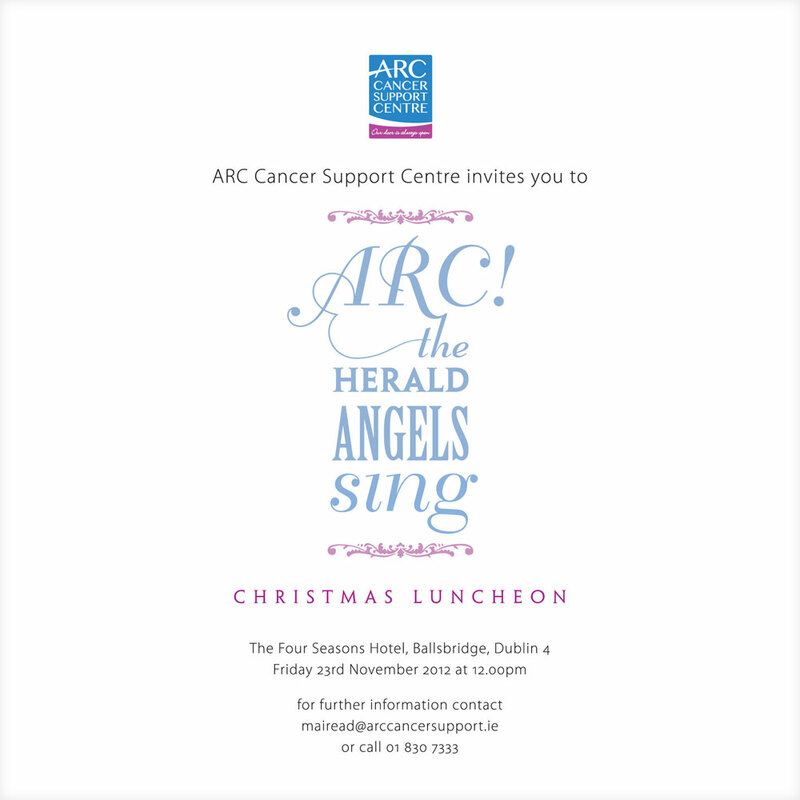 Invitation for ‘ARC! 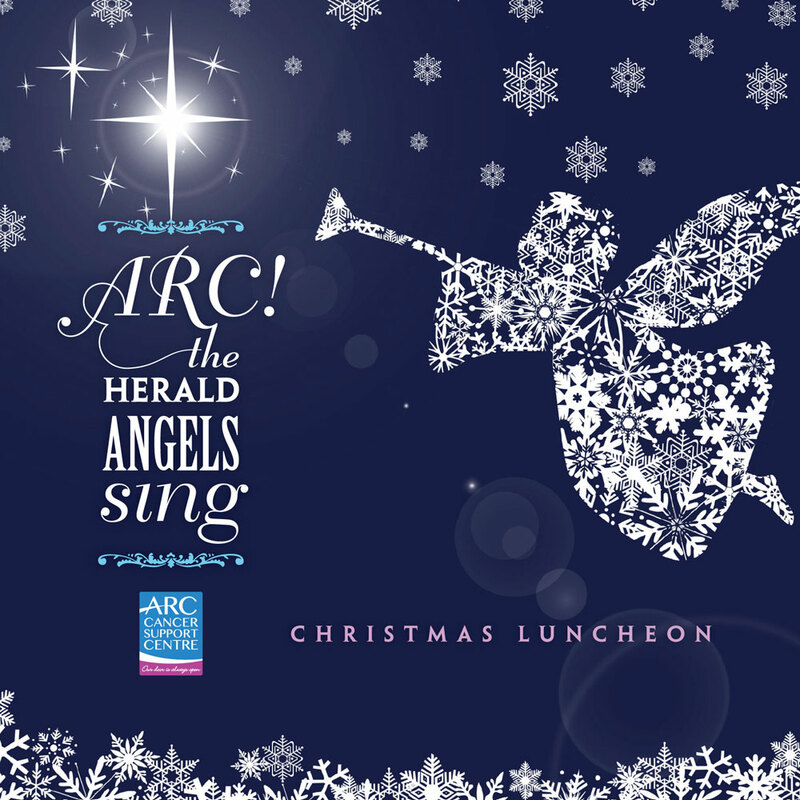 The Herald Angels Sing’, a fundraising Christmas luncheon, uses an illustration of a herald angel, made up of a snowflake pattern. ARC’s vision is to achieve excellence by providing complementary and holistic based services to people and their families who are challenged by cancer and to support and comfort them on their journey.